Forest Garden 3 x 5 Overlap Dip Treated Apex Shed: This Forest Garden Overlap Shed is another compact shed that is suitable for smaller gardens and where space is limited. The shed can be placed against a wall or fence however, the traditional apex roof makes this shed look great and will stand out by placing it alone. This Forest Garden Overlap Shed has been constructed with 7mm square cut overlap timber construction and allows rain to easily run off the boards. This shed comes with a single door with hidden hinges, has also been triple braced for added strength and can be hung on either side. 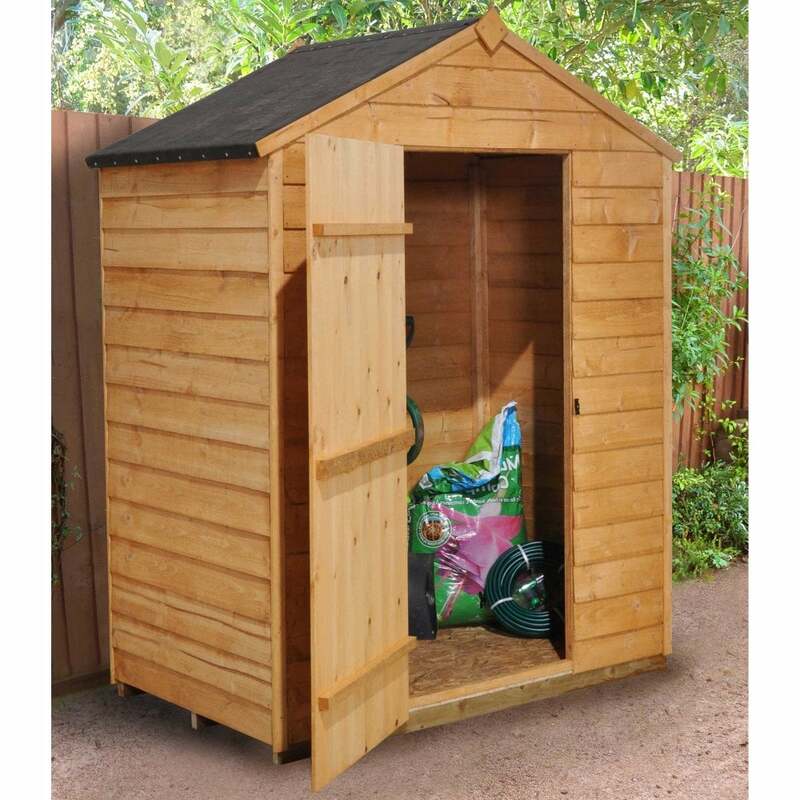 With no windows, this shed is perfect for storing your garden tools, machinery and accessories and the turn button door fastening increases security. The Forest Garden Overlap Shed comes with a waterproof felt material and both the floor and roof are OSB constructed.